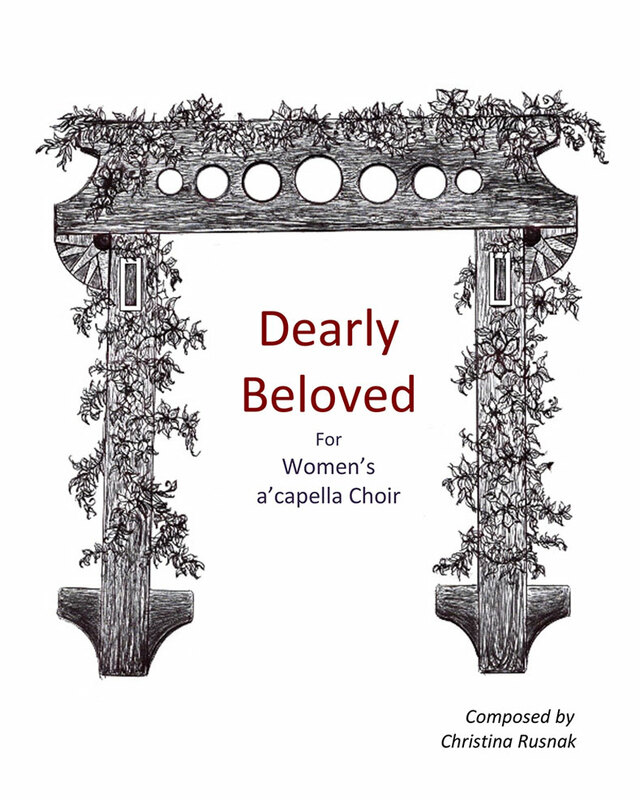 Dearly Beloved was composed for a family member’s wedding. He has been my staunchest supporter for most of my compositional life – both my cheering section and my most honest critic. This piece is not only my gift for him and his bride, but also a personal extension of myself, and the love I wanted to share with them on their wedding day. With nine separate parts, this piece is composed for nine or eighteen performer, though larger groups could perform it as well. The piece opens with the most common phrase in the wedding liturgy. The vow text is not taken from any one source, but fragments of the most common wedding vow language. I interspersed this with asides of my own, defining and/or describing the vows, comments from the wedding attendees, and the innermost thoughts of a bride and groom. The piece ends with a celebratory presentation of the marriage couple as the wedding concludes. Available as a Bound Score.